On Christmas Day, sixty years after Swiss writer, Robert Walser, took his fateful last winter stroll, I went for a walk through my neighbourhood. 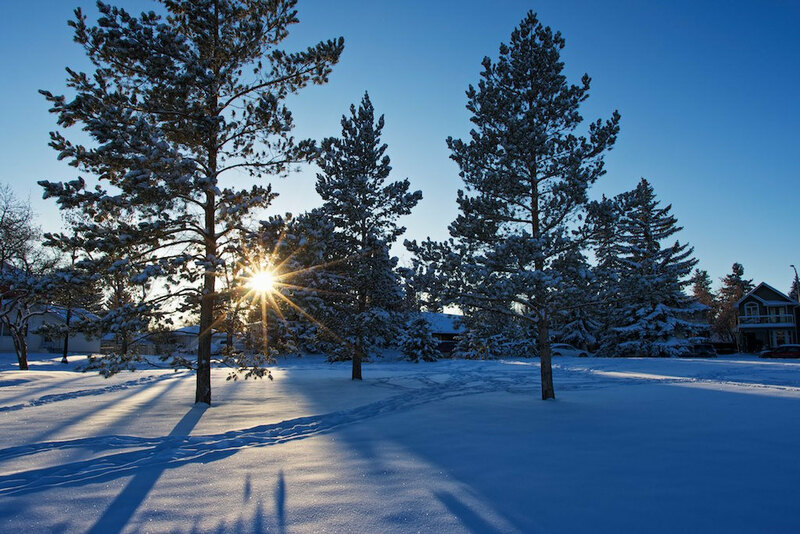 It was cold, -23C, but the low sun shone on a fresh 15 cm of snow, making it an ideal day for photographs. This being the first Christmas after the deaths of three of the people closest to me, it was a time of invigorated spirit and creativity mixed with sadness. Not entirely unlike the emotions recounted in the book I opened after returning home—Walser’s novella, The Walk. In the water of a fountain a dog refreshes itself, in the blue air swallows twitter. One or two ladies in astonishingly short skirts and astoundingly high, snug, fine, elegant, dainty colored booties make themselves as conspicuous as anything else. Moreover two summer or straw hats catch my eye. The story about the straw hats is this: it is that in the bright, gentle air I suddenly see two enchanting hats; under the hats stand two fairly prosperous-looking gentlemen, who by means of a bold, elegant, courteous waving of hats seem to be bidding each other good morning, which is an occasion upon which the hats are evidently more important than their wearers and owners. The writer is nonetheless very humbly asked to be a bit careful to avoid jokes as well as other superfluousnesses. It is hoped that he understands this, once and for all. This excessive attention to detail, and the tendency to address himself in the third person with slightly self-deprecating humour, creates a distinctively Walserian tone that would influence Bernhard and be so admired by Walter Benjamin and W.G. Sebald. As the narrator reaches his destination, the end point of his outing where he will rest and reflect, all pomposity and bravado give way to the underlying sadness and loss that he carries with him. He walks then, not just for inspiration, but to try escape a gloom that is not confined to his room alone. 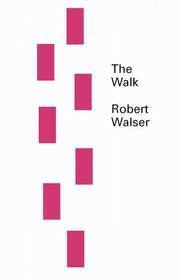 The Walk was the only one of Walser’s works to be published in English during his lifetime. Now, sixty years after his death, his many novels and short story collections continue to appear regularly in translation. For a man who spent so much of his life confined to mental health facilities, nearly forgotten, and who fell silently in the snow on a solitary walk, this particular novella, so lovingly tended by two of his best known translators, is a fitting honour to his memory. To my shame, I had never heard of Robert Walser, so I looked him up at Wikipedia and have been reading about his life, and his astonishing long list of works. Is this the book you would recommend to start with for this author? I have several of his novels which I have yet to read, but I love Berlin Stories which is a collection of very perceptive short prose pieces. The Walk is clearly a short novel where Walser is having fun with a rather self-centred narrator. I think it might be a great place to start. I just love Walser. His book of writings just reissued this year by NYRB Classics was wonderful. I reviewed it on my site, highly recommend it. Lots of his short pieces all in one book. I saw that one. I have a few novels too and I would love to get his book on art criticism that New Directions released this year. He was very a very interesting writer. Walser is brilliant. My favourite is his odd little novel Jakob Von Gunten. If you’d like to read some decent critical appraisals, both Coetzee and Sontag wrote good essays on Walser, available online. I have that novel, in fact I have more Walser than I thought, some I must have picked up on sale. I did know that Coetzee had written about him, but not Sontag. I’m just getting into reading her work actually—one of the gaps I want to begin to address this year. This sounds like a great read, I can understand how it inspired Sebald. I think I will have to read Walser now, thanks for the heads-up. Great blog. I keep seeing references to Walser everywhere, so feeling the need to read something by him. Reading your review of this book made me wander whether Jen Craig had been influenced by him when she wrote ‘Panthers & The Museum of Fire’ (which was long listed for the Stella Prize this year) because her stream-of-consciousness novel is about a woman writer walking across Sydney one summer’s day and describing all the people and places she encounters along the way, interspersed with a self-deprecating and slightly bitter monologue about her battle with an eating disorder and her own struggle to be a writer. Sounds a little familiar, right? It does sound like the book you mention derives some influence from Walser (directly or indirectly). This particular work is more melodramatic and stagey, but with a tongue-in-cheek awareness of the fact. And, in the end, the narrator shares a deep regret that humbles him.